robots, and rotary and swing tables. widely adopted for production and process automation applications. for servo-motors operating under hash environment. ensure the Temperature has the optimum thermal conductivity. 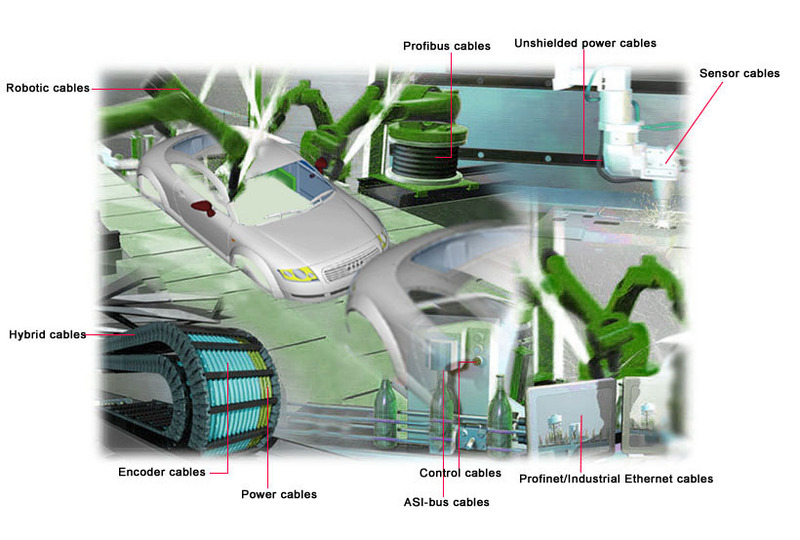 Hybrid cables: Integrate both signal and power cables to deliver unsurpassed energy and control capability. covered up with saw dust and simply stepped on. Construction can be 4-15 cores depends on requirement.